This post originally appeared on Babble and has been reprinted with permission. 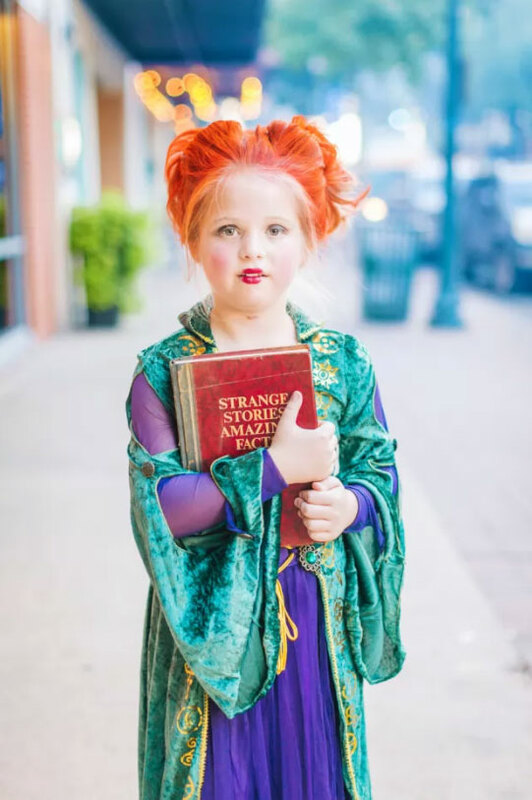 To say the Grabenstein sisters are big fans of the movie Hocus Pocus would be an understatement. 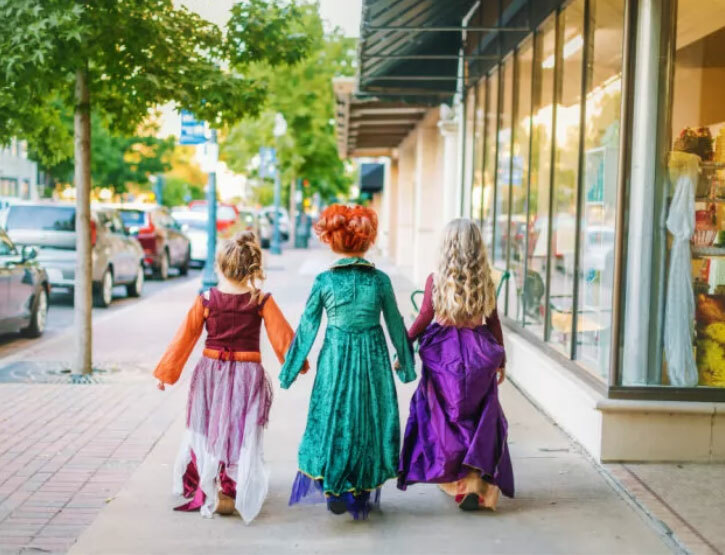 According to their mom Heather, Landri, 6, and 8-year-old twins Maddi and Alli, love the movie so much that they practically beg to watch it on Freeform every time October rolls around. So when it came time to choose a Halloween costume this year, it was pretty much a no-brainer. "I always look for things they can do as a trio," Heather says, "and I just knew Sanderson sisters would be perfect!" And oh, how perfect it was. 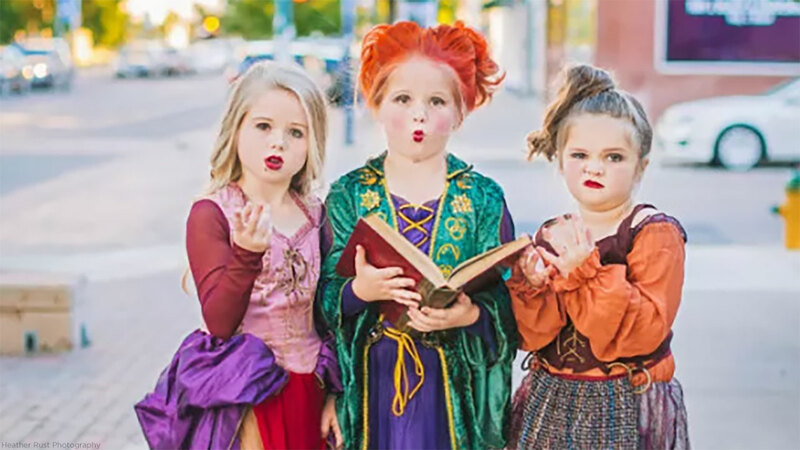 Heather says she found the Halloween costumes online, but that she and her own sisters did the hair and makeup, transforming the girls into Mary, Sarah, and the especially wicked Winifred over the course of two hours. "We wanted to get the looks right since the girls were already acting the parts!" Heather tells Babble. 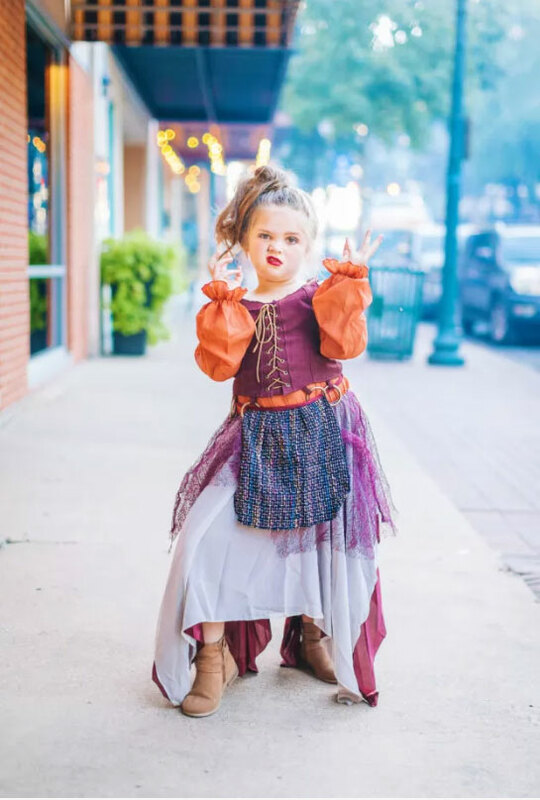 The girls didn't exactly have to brush up on the characters before channeling them in the photo shoot, which took place in downtown Waco, Texas (about a half-mile from the Magnolia silos, for all you Fixer Upper fans!). Their mom says they've seen the film so many times, the characters each came pretty naturally to them. 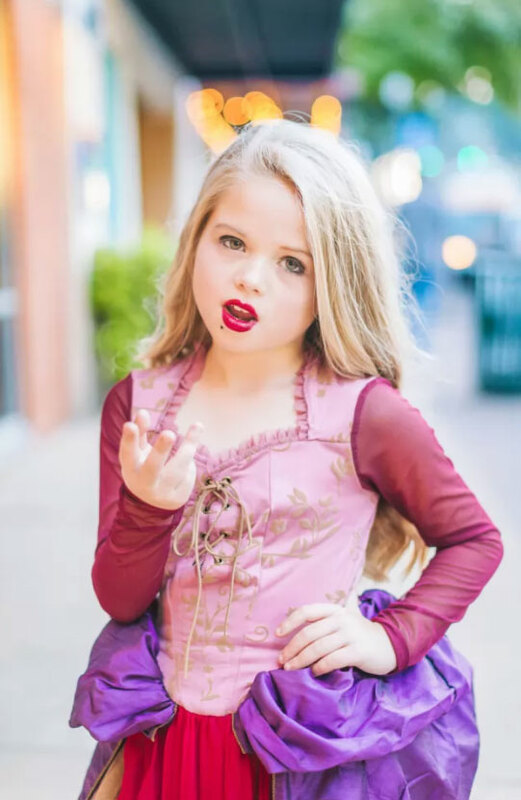 "The girls knew which characters they wanted to be," Heather says, sharing that Landri played Mary, Alli played Sarah, and Maddi played Winifred. They also enjoyed being local celebs for a day, as many people stopped them in the street and asked to take pictures of them in their costumes. "We even saw several people taking pictures out of the window of their cars," Heather shares. The photos were taken by Heather Rust of Heather Rust Photography, who tells Babble that she'd actually been planning the shoot with the girls' mother for eight months. When it finally came time for their big moment, Rust says the girls didn't need any coaching or instruction at all - they instantly channeled Mary, Sarah, and Winifred in all their wicked glory. "During the photo shoot (we) laughed a ton," says Rust. 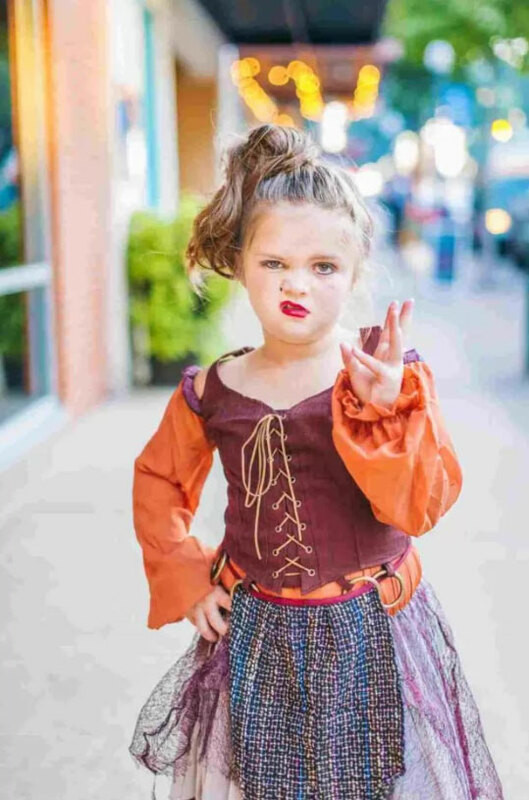 "The girls really brought sass to the session, which is one of the reasons I absolutely love them and knew they would perfect models as the Sanderson sisters." They certainly did. But as fun as the photo shoot was, Rust says that watching the photos go viral has been a total surprise. "I never expected my work to go viral," she says. "It's definitely surreal to see my photographs recognized after eight years of hard work." The girls' mom, Heather Grabenstein, says she, too, was shocked by how fast the photos went viral. "It's been crazy!" she said. "We never expected this!" One thing's for sure: These girls are definitely going to clean up big time in the candy department when it comes to Halloween night! The Walt Disney Company is the parent company of Babble, Freeform and this ABC station.